This tool provides a summary of the company's financial statements (Profit & Loss/Income Statement and Balance Sheet) in various formats. In addition, this tool also includes variance analysis and common size analysis. You are able to choose between the Profit & Loss, or Balance Sheet. The Balance Sheet view enables you to change between a traditional view, and a 'separation of operations and finance'. 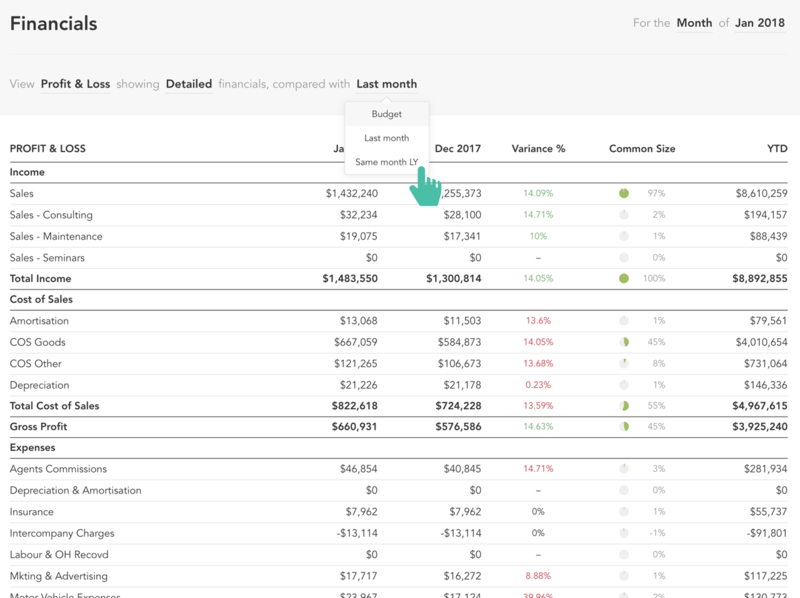 You can choose to display the Profit & Loss and Balance Sheet in varying levels of detail using the drop-down menu shown below. 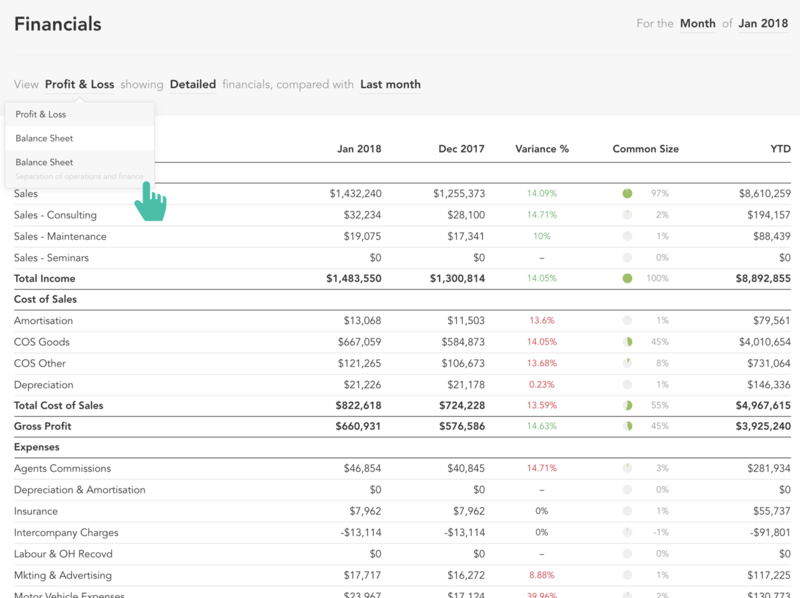 Detailed and More Detailed options will show accounts under any headings and sub-headings respectively, based on the structure of your Chart of Accounts from Step 3. 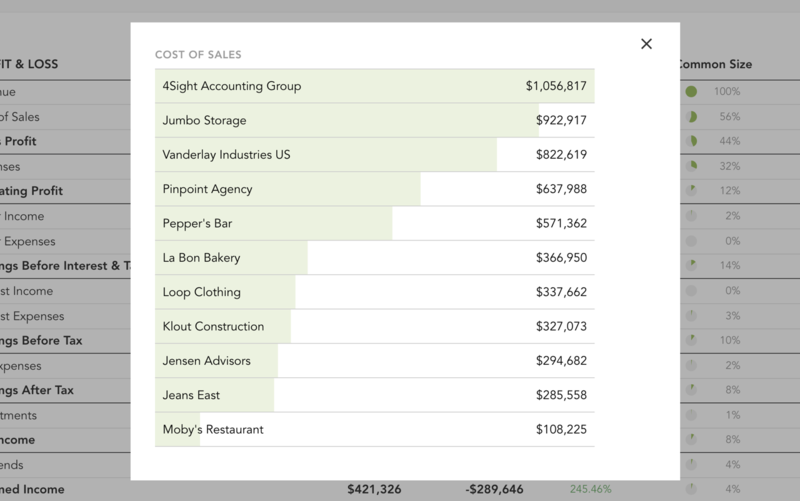 On the Profit & Loss, the common size analysis expresses each line item as a percent of total revenue. On the Balance Sheet, the common size analysis expresses each line item as a percent of either Total Assets or Total Liabilities and Equity. Common size analysis is only available for current period results. 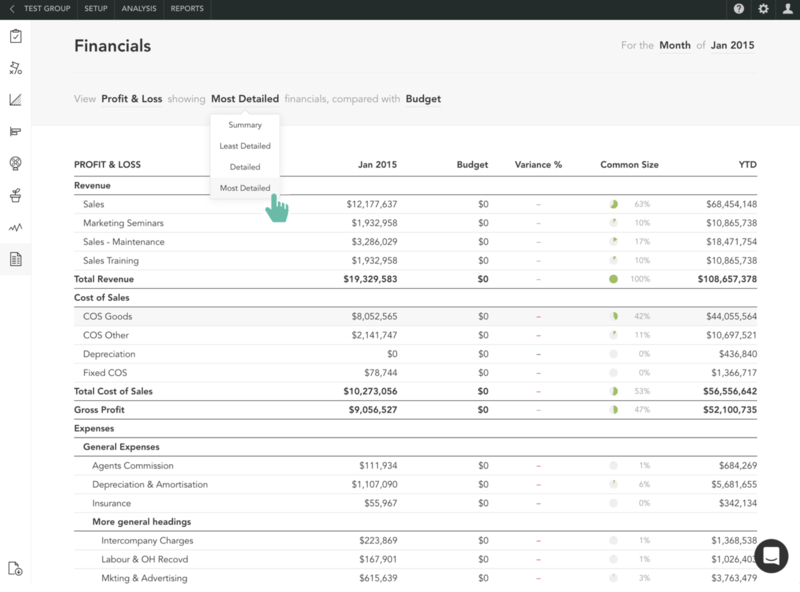 In the Financials tool for a consolidated group, you can click on any account to show a breakdown by company. You can save your financial statement as a PDF report by clicking the download icon in the sidebar.